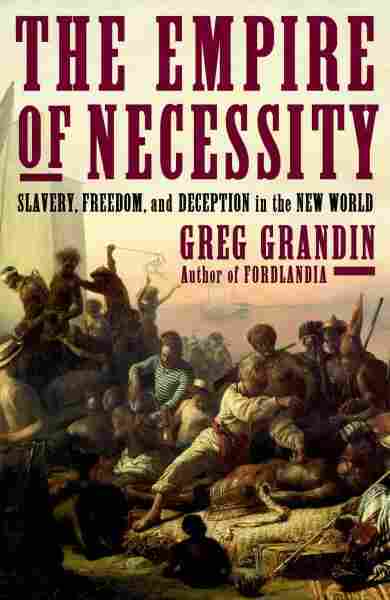 Book Review: 'The Empire of Necessity' By Greg Grandin In The Empire of Necessity, historian Greg Grandin tells the story of a slave revolt at sea. The 1805 event inspired Herman Melville's Benito Cereno, and Grandin's account of the human horror is a work of power and precision. Shortly after sunrise, on the morning of Feb. 20, 1805, sailors on an American ship called the Perseverance, anchored near an uninhabited island off the coast of Chile, spied a weird vessel drifting into view. It flew no flag and its threadbare sails were slack. The captain of the Perseverance, a man named Amasa Delano, decided to come to the aid of the ship, whose name, painted in faded white letters along its bow, was the Tryal. When Captain Delano boarded the Tryal, he found himself amidst a crowd of African slaves, along with a sprinkling of Spanish and mulatto sailors. Delano remained aboard the Tryal for nine hours, becoming increasingly uneasy. The distressed ship's Spanish captain was often listless — even rude. He refused to speak to Delano in private, instead insisting that his African manservant stay "always listening" by his side. At one point, Delano witnessed an African slave pull out a knife and slash the head of a Spanish cabin boy — an incident the Tryal's captain dismissed as "merely sport." At the end of this strange afternoon, Delano took his leave and climbed down the side of the Tryal to get into his ship's rowboat. That's when the captain of the Tryal roused himself, broke away from his manservant, and leapt overboard, crashing into Captain Delano's boat. It turns out the black men and women aboard the Tryal were only pretending to be enslaved; in fact, they had staged a successful revolt some 53 days earlier. If this scene sounds familiar to you, you know your Melville. Herman Melville drew almost exclusively upon Captain Delano's later memoir to write his own 1855 floating Gothic masterpiece of a short novel, Benito Cereno. In turn, historian Greg Grandin has written a book that delves deep into Melville's account, as well as into the details of the real-life slave revolt aboard the Tryal. Grandin elegantly characterizes Delano's fateful visit to the ship as a "one-act, nine-hour, full-cast pantomime of the master-slave relation performed by a group of desperate, starving, and thirsty men and women, most of whom didn't speak the language of their would-be captors." Grandin focuses on the story of the Tryal in order to fan out and explore the explosion of the slave trade in the Americas in the early 19th century. His book, The Empire of Necessity, is a wonder of power, precision and sheer reading pleasure about human horror and degradation. In it, Grandin dramatizes what historians have acknowledged as the "central paradox" of the Age of Liberty — that period that began with the American Revolution and extended through the revolutions in France, Haiti and South America. The paradox is that the Age of Liberty was also the Age of Slavery. The tale of the revolt of the 72 slaves aboard the Tryal is Grandin's touchstone and he keeps returning to it to illuminate the background story of how those two ships and their passengers came to be in the South Pacific in 1805. For instance, Delano, the American captain, was on a seal hunting expedition and Grandin talks about that industry, as well as the feudal conditions that shaped life aboard the Perseverance and other ships. 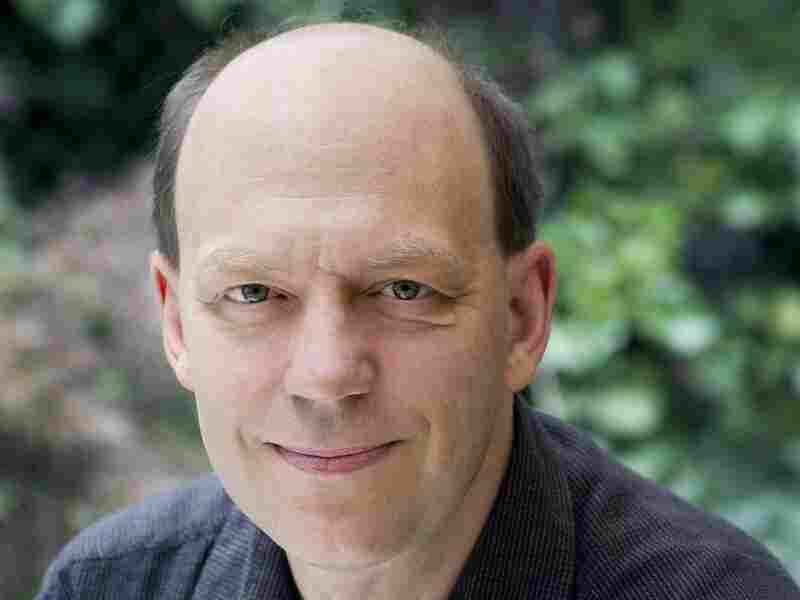 Greg Grandin is a professor of history at New York University. One of the most charged sections of The Empire of Necessity traces the odyssey of the slaves who wound up on the Tryal: first, forced onto a ship off the coast of West Africa; then, sold in Buenos Aires and then marched in chains over the top of the Andes to Chile. Grandin evocatively describes the sublime terror of the mountain trail, the static electricity of the air that would cause clothing to spark, the cold that would freeze sweat onto skin. Grandin also observes that the slaves, at least some of whom were Muslim, made this journey during Ramadan and they staged their revolt on the Tryal during what's called The Night of Power, the holiest day of Islam's holiest month. That fact then prompts Grandin to begin an enlightening exploration of how the mostly "Christian" slave trade helped spread the influence of Islam. In his previous book, the much acclaimed, Fordlandia, Grandin chronicled how Henry Ford attempted to establish a utopian version of small town America in the middle of the Brazilian rain forest. In The Empire of Necessity, Grandin takes readers on a tour of the hell of the slave trade, a tour so revelatory and compelling, we readers, unlike Captain Delano, can't fail to see the truth before our eyes.